What is Cervical Spine Fusion? Performed to reduce or eliminate severe pain, cervical spine fusion links two or more vertebrae together in the cervical (neck) area of the spine. Damaged discs are then removed and the empty spaces are filled with pieces of bone from the patient’s pelvic area or elsewhere. Cervical spine fusion is performed to treat pain caused by degenerated discs. It can also be used to treat nerve root compression. Non-surgical alternatives to cervical spine fusion include physical therapy, epidural steroid injections and pain relief medications. These alternatives may be attempted prior to cervical spine fusion. 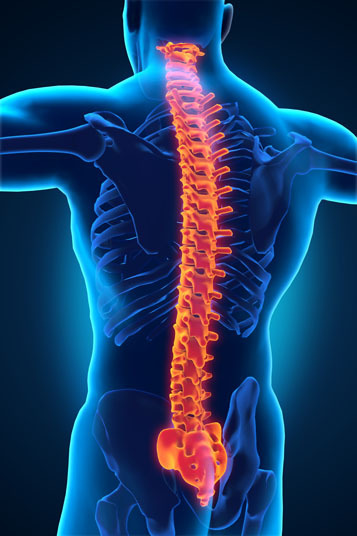 A surgical alternative to cervical spine fusion is spinal disc replacement therapy. Cervical spine fusion is performed under general anesthesia, which means that the patient is asleep and completely unaware during the procedure. Risks of cervical spine fusion include infection, bleeding and a negative reaction to the anesthesia. Additional complications can include nerve injury, failed back surgery syndrome and decreased neurological function. The total recovery time for cervical spine fusion is six to 12 weeks.